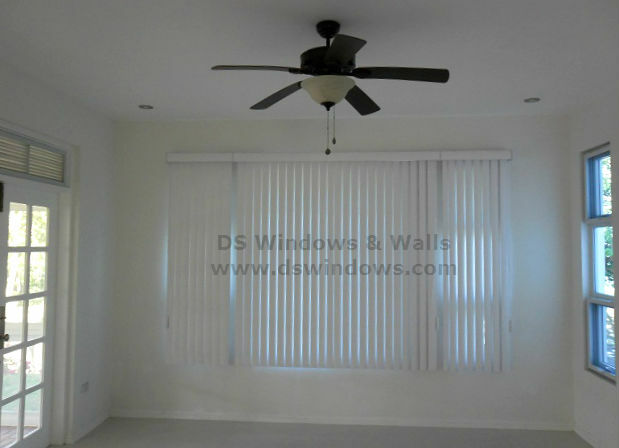 Vertical Blinds has been around us for over decade. 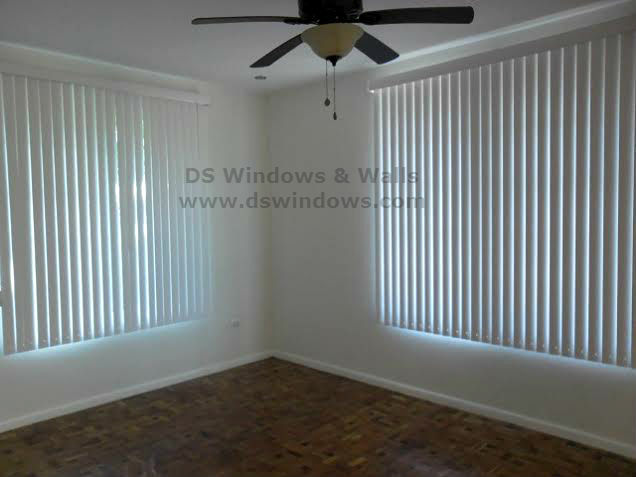 We see it in almost all places like schools, offices and in various residential and commercial areas. 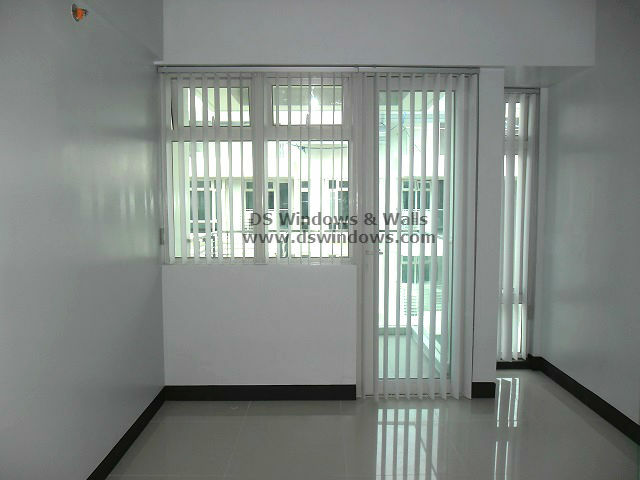 Vertical Blinds are not only for window dressing, but also suitable for door cover specially sliding door glass or any glass door. 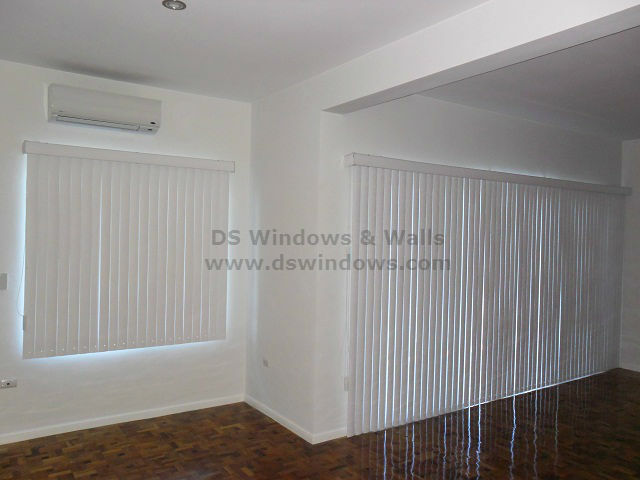 It’s also one of the few blinds to accommodate long and wide window without any problem. 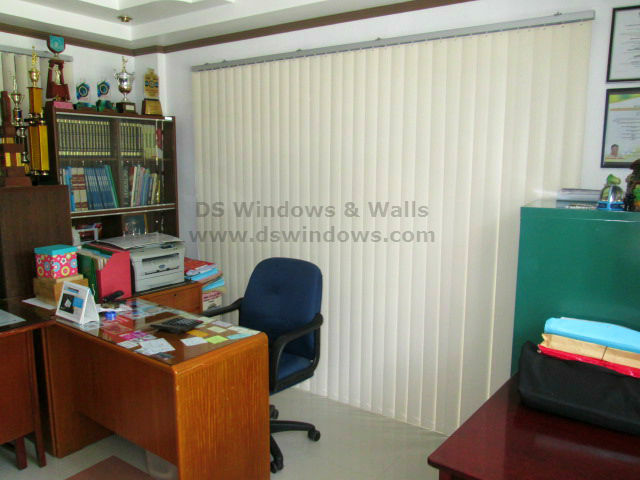 One of our clients in Makati City, Philippines opted for PVC Vertical Blinds in their home office. 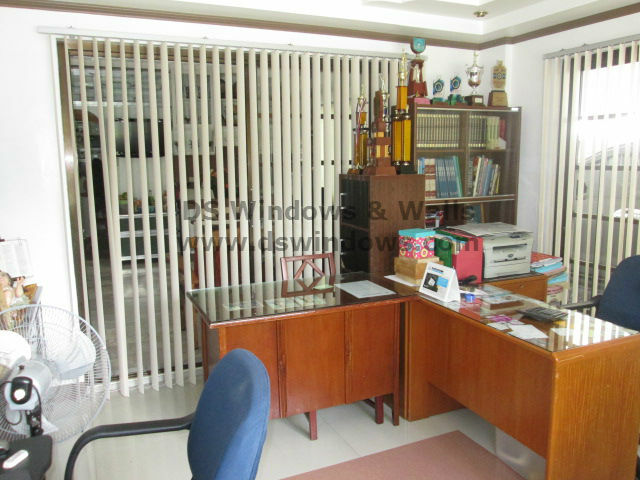 Their office is almost surrounded with glass wall and door so it’s a great choice to use PVC Vertical Blinds to cover the areas for more privacy and for blocking the sunlight. 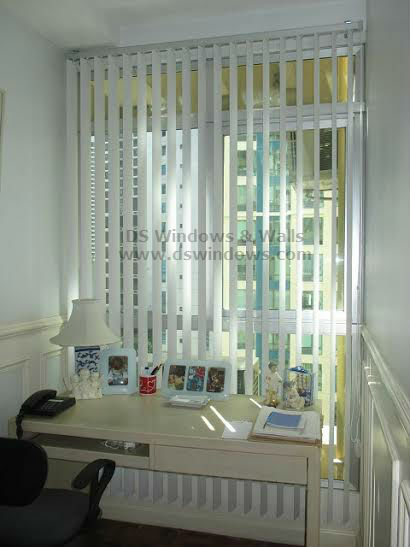 Since it’s a home office, you need blinds that both offer a homey and formal ambiance, which vertical blinds can offer. 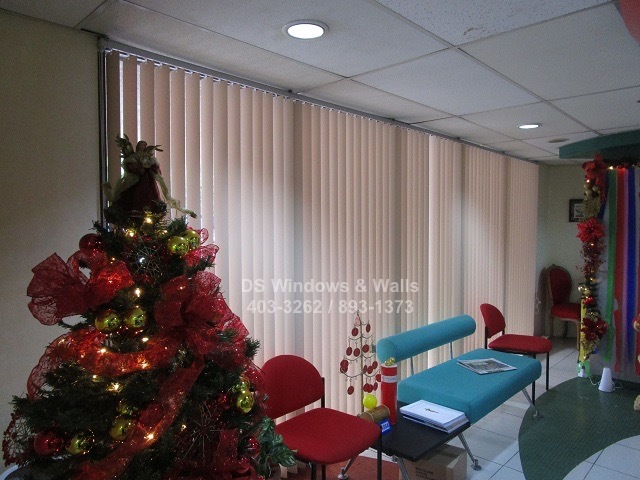 DS Windows & Walls offers Vertical Blinds with a lot of different designs and colors that you can combine in your own choice and without additional charge. 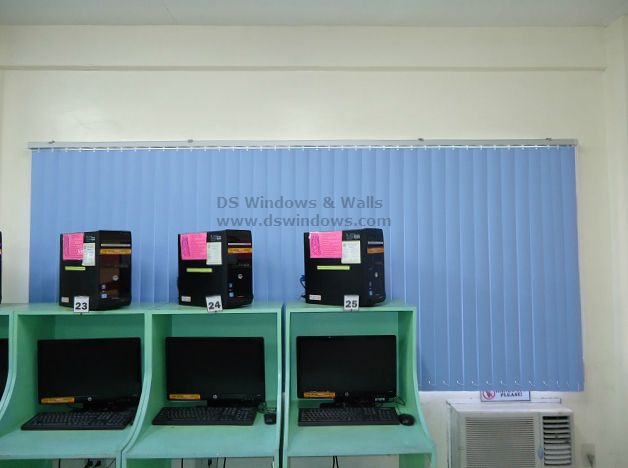 For more inquiries, call us at (02) 893-1373 / (02) 403-3262 / 0916-311-3909 or email us at inquiry@dswindows.com. 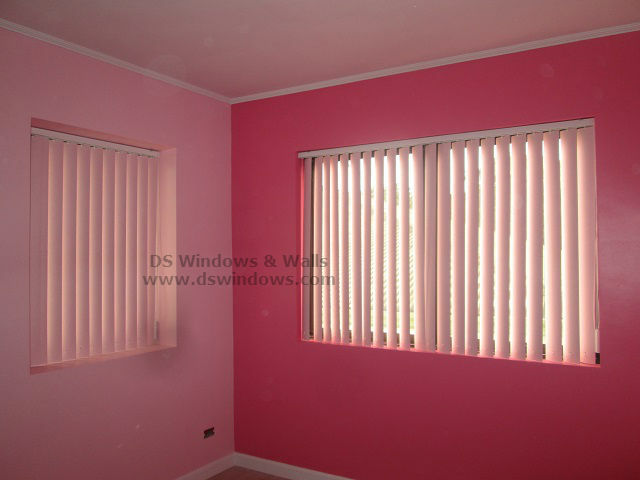 You can also see more design in our official website http://www.dswindows.com/. 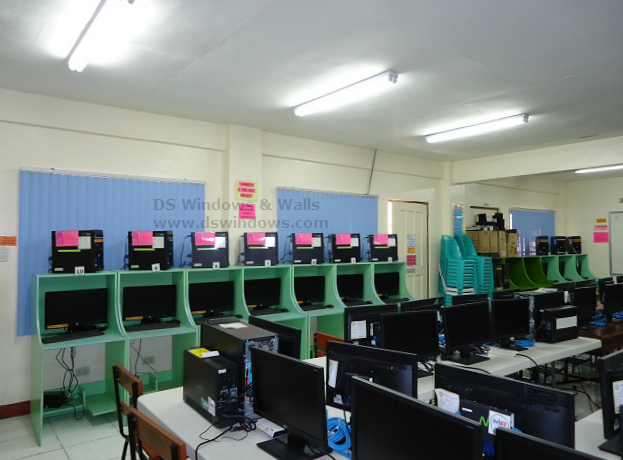 You can visit our showrooms at 2nd level Pacific Mall Lucena City, 3rd level Robinsons Metro East, Pasig City and 4th level Waltermart, Makati City.